We’ll start this story with a quick quiz: GWS Tool Group has four facilities. One in Indiana, one in Florida, one in Michigan and one in Massachusetts. Which of those states was home to our first facility? If you said Florida, you get a gold star for the day. The Southeast United States has always been central to the cutting tools we make, with form tools and milling tools being the core competency. And that means a good portion of our business is in the armament manufacturing field. 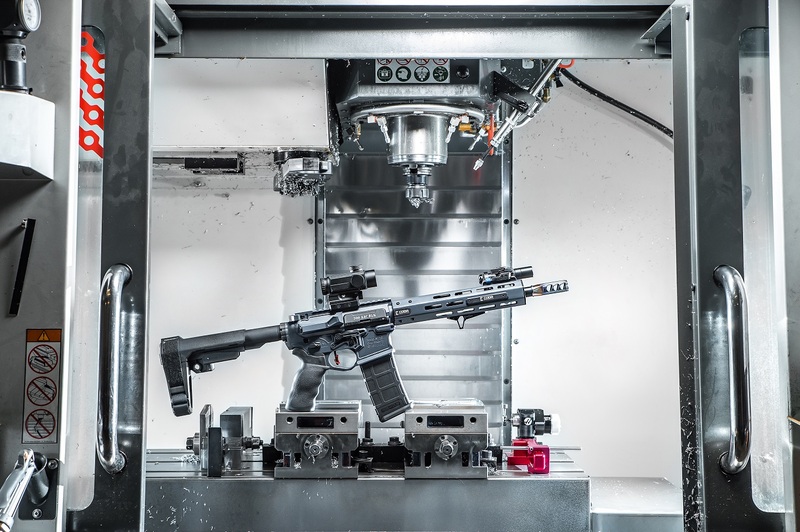 Back in 2015, we were getting so many requests for cutting tools to manufacture AR-15 components that we decided to create a standardized product offering that enabled customers to manufacture the product complete in their CNC machine. Basically what once was custom-made tooling became a specialized tool kit. Whatever name you choose, the GWS ARMORY catalog was created to be an ideal way for our Florida customers to build around milspec standards while improving their processing or cutting specific features they need. But not long after, manufacturers in other states learned about the catalog as well. Peruse the online reviews of ZR Tactical Solutions in Noblesville, Indiana and you’ll quickly discover some common themes: It’s a custom gunsmithing and manufacturing shop that treats its customers well and gives them a fair price. “Best gun shop in the state” and “Indiana’s best kept secret” are used more than once in the reviews. 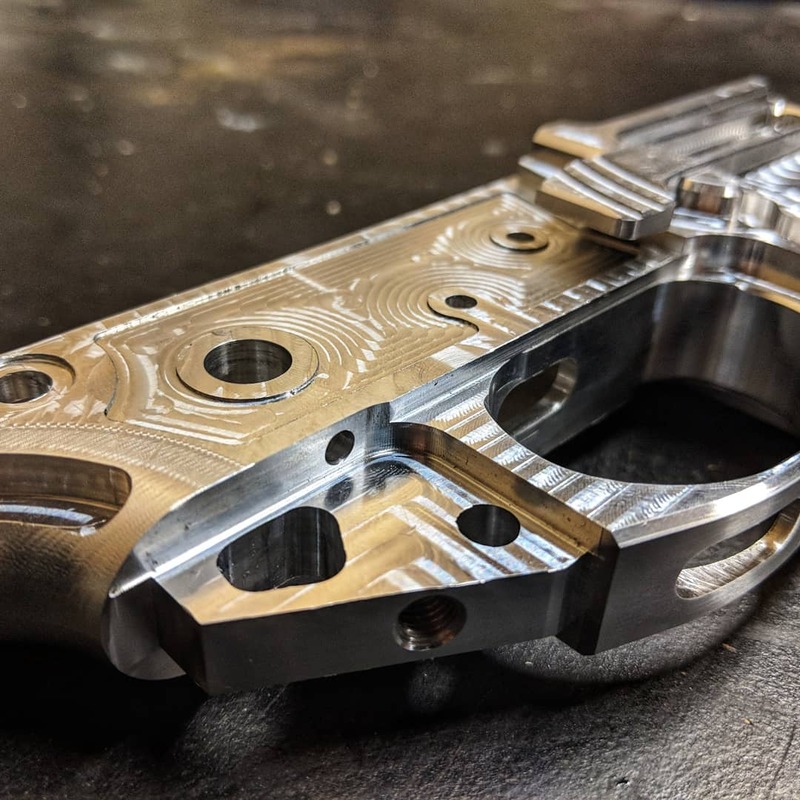 (They also have a pretty solid Instagram feed) We spoke with Zach Wagner at ZR Tactical about how he came to rely on GWS Tool Group. Zach wanted the ability to make AR-15 lower receivers made out of a forging, so he requested a turnkey machine for the job. Problem was, the 30-taper was not up to the task and Zach quickly realized he should have gone with a 40-taper horizontal instead. His new machine did not have the rigidity or the mass for the cuts he wanted to make, and resonance in the spindle created vibrations that did not help tool life. He needed a fix, so he opted for end mills from big brand names that cost upwards of $250. Even with those high-end products, his tool life was still abysmal, and he got 50 to 60 parts per end mill at best. But then, in November 2017, he found the answer: GWS Alumigators and the Magazine Well Broaching Tool. On top of the extended tool life, the machine feed went from 60ipm to 130ipm at 16,000 RPM. When asked to ballpark the cycle time savings, Zach estimated it was around 15 to 20%. Plus, the broaching tool for the magazine well just worked perfectly from the get-go. Need end mills that just shred? Talk to GWS. And if you’re making AR-15 parts, absolutely check out the GWS ARMORY catalog. And remember, if you don’t see the tool you need, our dedicated engineers create custom tools for your armory application, and those tools are delivered in less time.